My caller today is struggling with a situation in her relationship where her partner still has contact with an ex. This brings up all kinds of old fear in her, and is leaving her waiting for the other shoe to drop. Of course, this question isn’t really about what to do in this situation, rather it’s about trusting yourself. 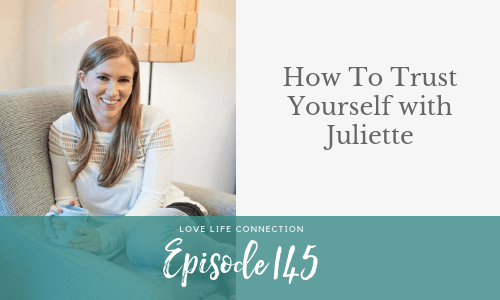 So in our call, I help Juliette flex her self-trust muscle; and you’ll learn some good self-trust tools along the way too. Want to figure out what’s blocking you in love? Take my free Love Quiz to find out which dating energy is blocking you from finding real love. Take the quiz HERE.